It has been a fantastic two weeks to finish the half term. Here’s an update on what has been going on and on what is to look forward too! 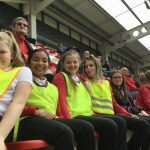 Y6 visit the New York Stadium – Italy U17 took on Belgium U17 in the European championships … and we were there! The 30 children were rewarded not only for their efforts in SATs but in PE throughout the year and for bringing their PE for every lesson. 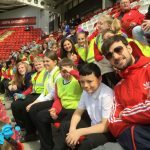 They are great role models for the younger children and thoroughly enjoyed their afternoon. 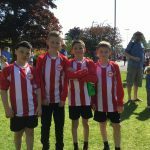 Cross Country – four Y5/6 boys competed in th Doncaster cross-country event on Saturday morning. They did brilliantly to finish a tough course in very warm conditions! Congratulations to Alfie Nadkar who came 10th place! Great runnng young man! 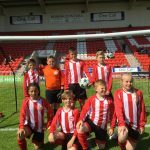 Y6 play on the pitch – Eight Y6 children played football on the Keepmoat 1st team pitch yesterday in a competition of 40 teams. 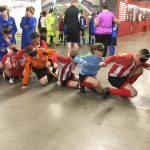 The day consisted of fun activities and some very competitive football, with our Y6 team doing very well to reach the last 16, coming second in their group. These eight children have behaved brilliantly throughout the school year and always stand out in a PE or sport environment because of their hard work. Well done to all 8 involved! You can be very proud of your achievements! 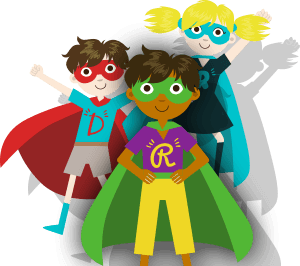 5.6.18 – Dr Bike workshop – bring your child’s bikes to school for a free maintenance check. Proud Y6s playing on the Keepmoat Stadium 1st Team pitch. 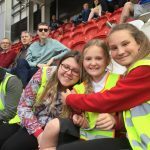 ← 8.5.18 – Tour de Yorkshire finish! → 12.6.18 – An excellent week enjoyed by all!